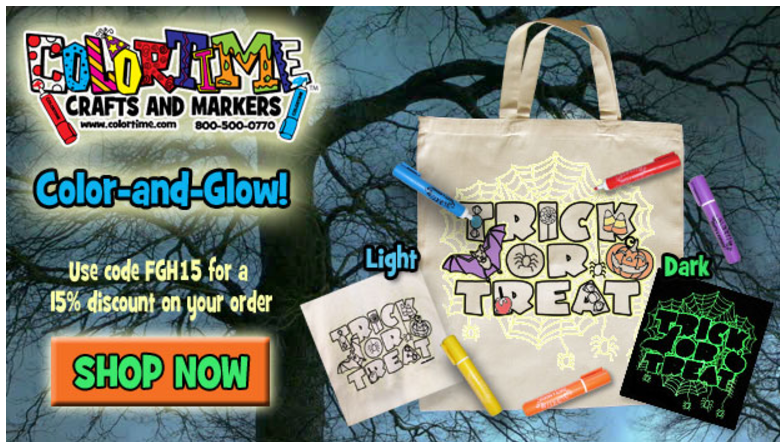 Reasonable prices for birthday parties and sleepovers with Colortime Crafts and Markers coloring pillowcases, t-shirts, backpacks, permanent fabric markers, and more. New special glow-in-the-dark ink items available! Clean, easy, and affordable crafts activity that doubles as a unique keepsake!